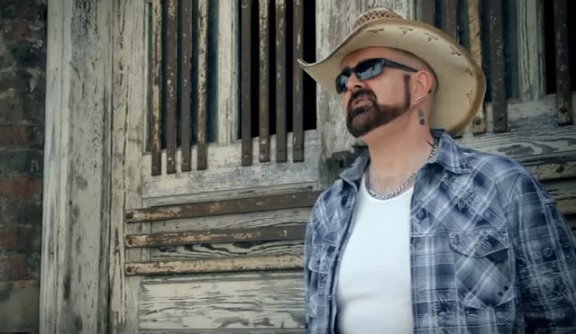 Openly gay Country music singer Drake Jensen has a song I like called, "All You Need" which is all about "finding that one true, special person in your life that you want to make sure you give back everything they have given to you." The track was written by Drake Jensen and Kim Copeland. Here's an excerpt from a new article about Drake. In it he shares what life has been like since he's come out publicly as a gay man in the Country music industry. Drake has found his 'one true special person' - Jensen has been married to Michael Morin for 8 years, and Morin is also his manager. Watch the music video for "All You Need" below. Jensen came out as gay to his family when he was 27, but didn’t come out to the music community until later. When he decided to come out, Jensen thought it would mean the end of his country music career. Jensen says when he came out it made a lot of news in the U.S. and gave him more notoriety. “I kind of became a pillar in the gay community because there isn’t a lot of country singers that were gay,” he said. However, the past few years have brought some major changes with the way people are thinking about his situation, Jensen says. Watch: Drake Jensen's "All You Need"